I have a nonprofit site… But now what? What’s driving donations and what isn’t? Why do some volunteers signup through your online form while others do not? Is your message getting across to the right audience? Does your nonprofit website even show up in search results? These are the questions most nonprofits ask and most don’t have the time to seek out answers for each time they need them. 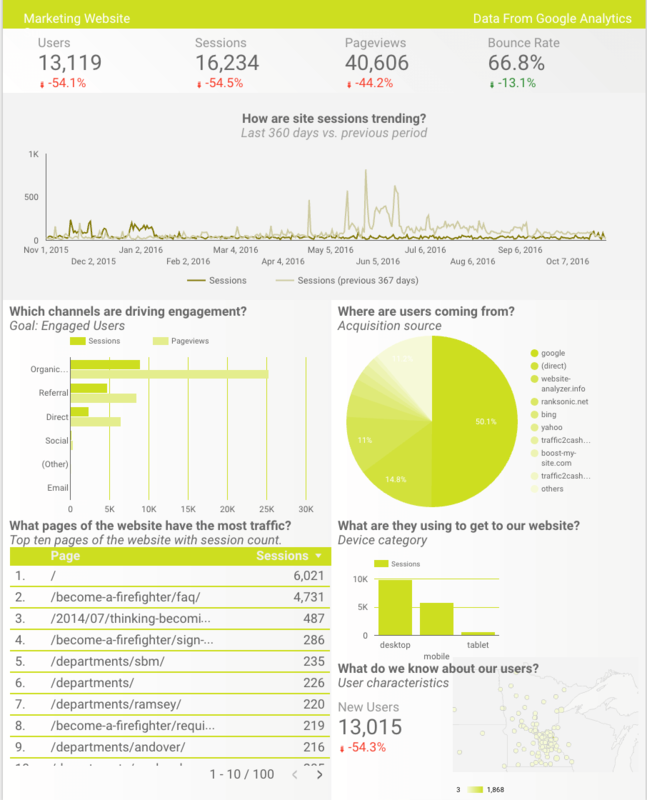 Imagine opening up a digital dashboard and seeing the numbers you need to know right away. Maybe you’d want to know exactly how many visitors filled out your volunteer form that week compared to last, where they came from or why they left the form page. You’d know where to put your marketing budget, what efforts are working and what isn’t, and would have a better understanding of who is on your site in the first place. We all know data such as Google Analytics is pretty central to digital marketing these days. We also all know how overwhelming it can be when first opening up a report and not having a plan of action for where to look. All the numbers could be useful to know, but only if you have time to analyze what they mean and then the time to apply them to your digital strategy. In the end, the power of Google Analytics falls flat as you don’t end up informing many of your decisions with real data. 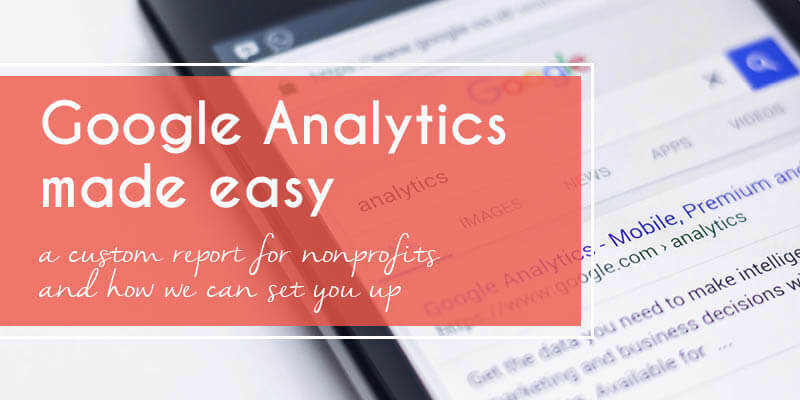 We have an offer going to set your Google Analytics account up for long-term benefits. Fill out this form to get in touch with our digital strategist, Jenna. ⟵The rise in donations after election collided with this nonprofit’s redesign perfectly.